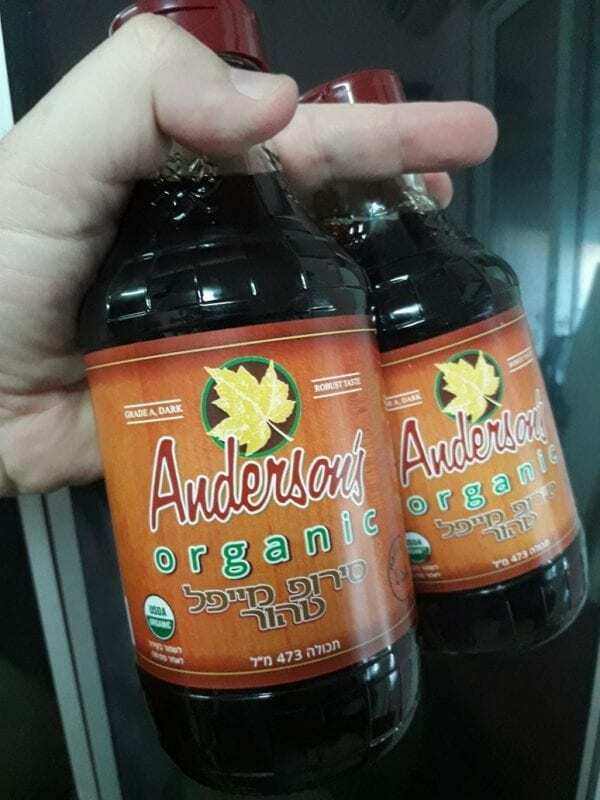 Get TWO 16 oz bottles for the price of ONE 32 oz bottle! Get TWO 16 oz. bottles for the price of ONE 32 oz bottle. 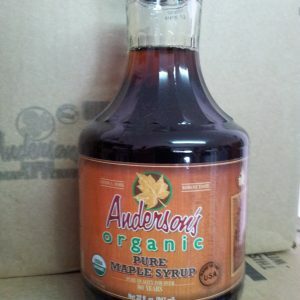 We are sold out of the large, 32 oz bottles of Grade A Organic Maple Syrup and we are not getting new stock for a while. 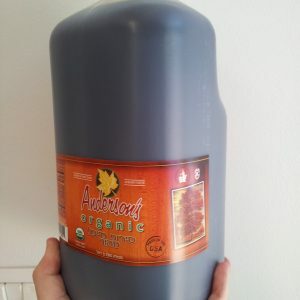 As such, we are offering you TWO of our 16 oz, Grade A Organic bottles for the price of one of the old big bottles. 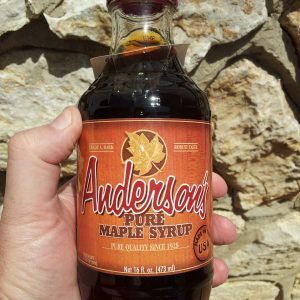 Same AMOUNT of syrup for the PRICE of the big bottle! This is a “limited time, while quantities last” kind of thing! Meet up with one of our trempers– if you go to one of our volunteer trempers and pick up the order, then you don’t pay for delivery. These kind people are friends that are doing this for us for free so they will NOT deliver it to you- you have to go to them BUT it’s free. The Post Office- for 20 NIS our good friends at the post office will deliver your order to a post office near you where you can then pick it up. You can usually get your order in about 2 weeks. 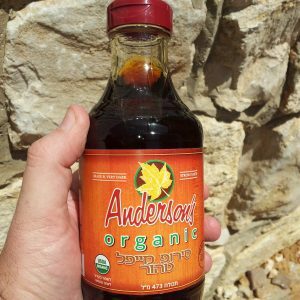 Place an order with Shmiltong for 100 NIS and get your maple syrup delivery free! If you buy 100 NIS or more of Shmilty’s Biltong, then he’ll do the delivery for free. Awesome right? Think about it.